In the state of Washington, grandparents are banding together to obtain legal rights to their grandchildren. But what does this mean, exactly? And how – if at all – does the law protect the rights of grandparents in Illinois? If you are a grandparent and are being denied visitation to your grandchild, the following will help you understand if and how Illinois’ grandparents’ rights statute applies to you. Grandparents’ rights are not like parenting rights, nor do they overrule them. Instead, the Illinois statute 750 ILCS 5-602.9 simply acknowledges that you have the right to ask the court for legal permission to see your grandchildren. Depending on the situation, this request may or may not be granted, and it may or may not be considered “valid” by the courts. 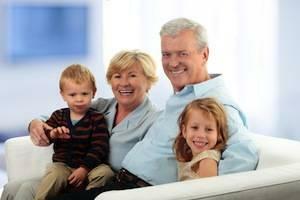 In fact, there are only a handful of situations in which you may legally pursue grandparents’ rights.